Can I Use Sweat Equity as a Down Payment? 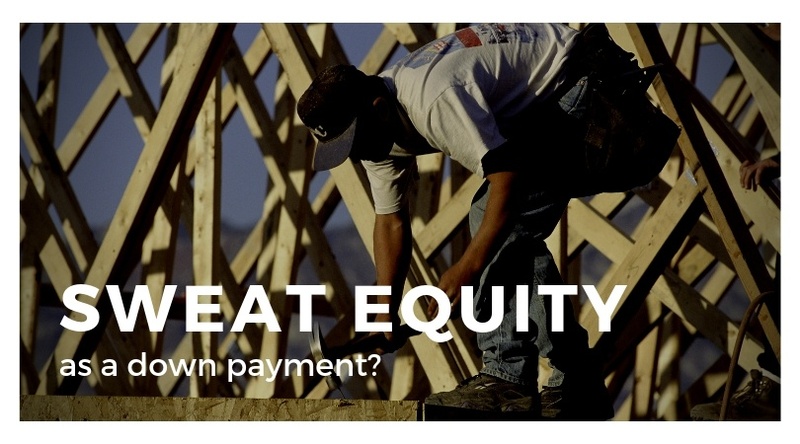 Yes you heard that right, sweat equity as an alternative to cash for a down payment? Well, the down payment usually stands in the way for a lot of people trying to become a homeowner. Coming up with the cash can be difficult but you may be able to use sweat equity instead. The Department of Housing and Urban Development has announced it will be awarding $10 million in sweat equity grants to nonprofit housing organization through its Self Help Homeownership Opportunity Program or SHOP. These funds, combined with labor contributed by the home buyer and volunteers can lower the cost of homeownership for eligible buyers. According to HUD, homebuyers can contribute significant sweat equity toward the development of their housing units or the units of others that may be participating in the local self-help housing program. Low-income homebuyers can work toward their down payment directivity such as landscaping, painting, carpentry, drywall, roofing, siding, and pretty much anything that it takes to build a house. A minimum of 100 sweat equity hours is required from a household of two or more persons while a minimum of 50 sweat equity hours is required from a household of 1%. More than half of the funds are earmarked for Habitat for Humanity, which will go towards at least 284 SHOP units for low-income homebuyers to meet the sweat equity requirement. There were more than $9.9 million in sweat equity grants in 2016 and even more this year. The Home Possible Mortgage also offers one of the lowest down payment options at a minimum of this 3%, which is even better than the 3.5% FHA requirement. Potential homebuyers and eligible applicants can apply sweat equity to assist in meeting their down payment and closing costs and even co-borrowers who don't live in the home can be included for a borrower's one unit residents. Freddie Mac recently expanded this program to the borrowers can cover their entire down payment with sweat equity. The Home Possible Sweat Equity Offering provides renovations to older homes and provides borrowers with an additional form of down payment instead of cash, particularly in rural areas. If you'd like to know more about this type of loan and how you could be approved for it, contact our office today.